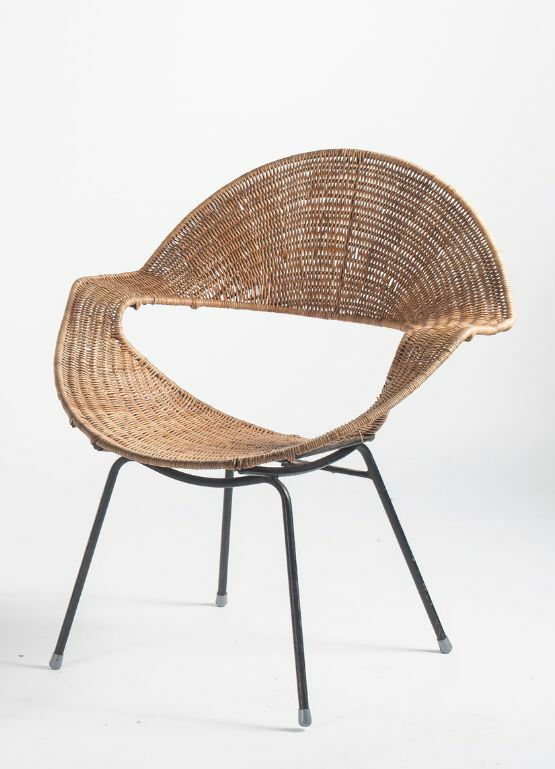 Woven chairs might reach high popularity in 2019, what with eco-friendly consciousness on life habit, including on what people consume. Adding an eco-friendly item will make the house have one more comfortable furniture without adding not-degradable items in the house. 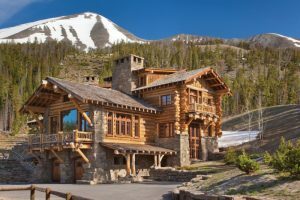 There’s no worry in thinking that if it’s broke in the future, you add much more trash. Well, let’s see woven chairs that can look so good in the house, but also, the unique one. Woven chairs can have varied designs. 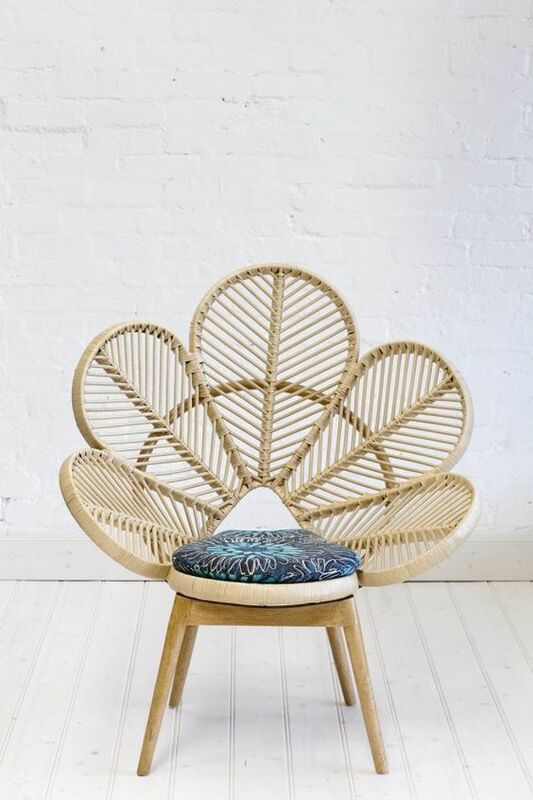 While it is a great thing to have a simple woven rattan chair, having the one that can rock and lull you is a great thing to have, especially if you love to relax in the living room. With rocking chair from woven natural material, your relaxation will feel more serene. A unique designed chair with hole in the back might look uncomfortable but as the hole is just in the right place, it does not cause uncomfortable use. 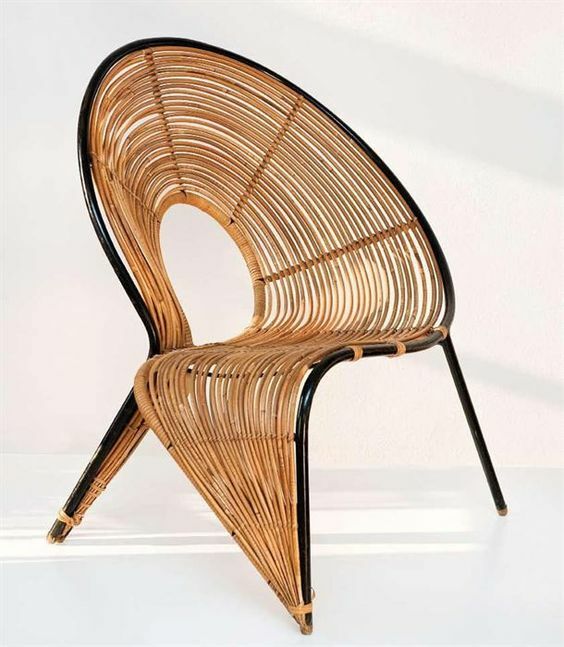 This one is another woven chair with unique cone look. 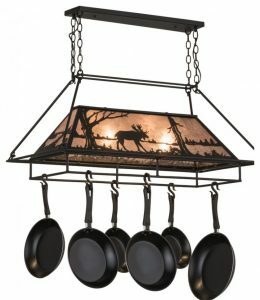 Looking unique, it can help the room it is in having a great accent. 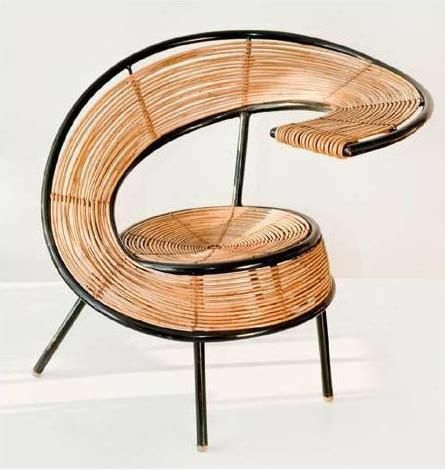 Having a rattan woven chair shaped in peacock tail might make it even closer to nature. Besides peacock, it also looks like a blossoming flower. 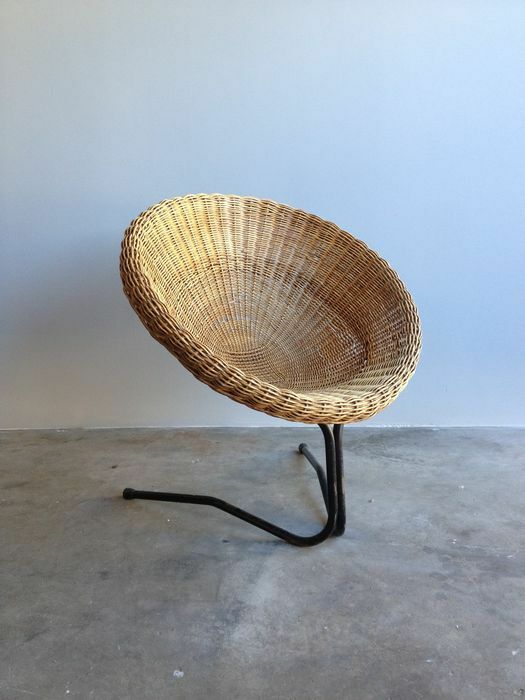 This one is a simple rattan chair with round shape on the seating and back. With this round look, wherever it is placed will look lightweight and without too much pressure. Another unique look is spotted in this one below with its continued line from the seat to the back and finish to the arm rest. 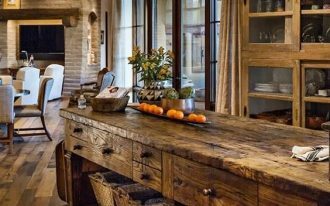 An unusual spot in a room will make the room feel different and refreshed. 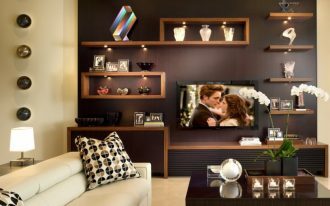 Not only that, this one here will definitely makes the room sophisticated. 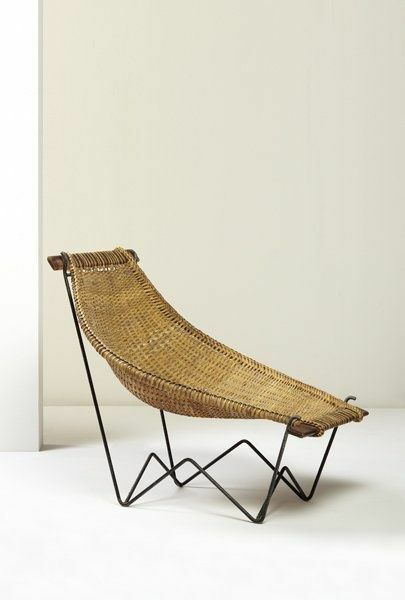 This one here is another fluid movement of the black metal support for the rattan woven in the metal. 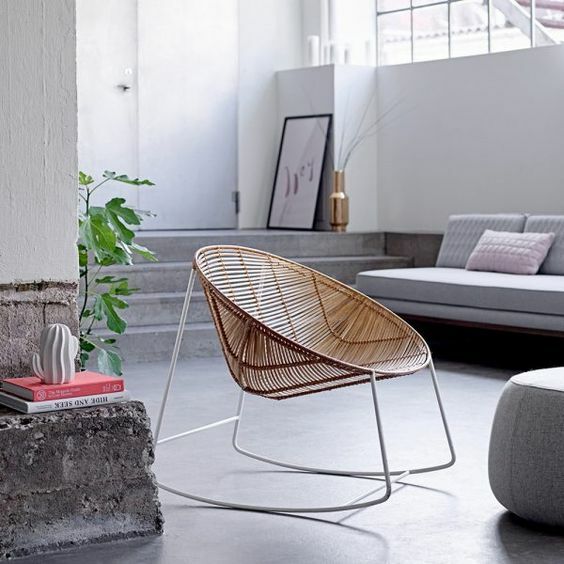 This fluid look of rattan brings an unusual look to the rattan. 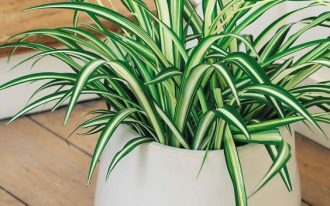 It will make the room or patio looks chicer. 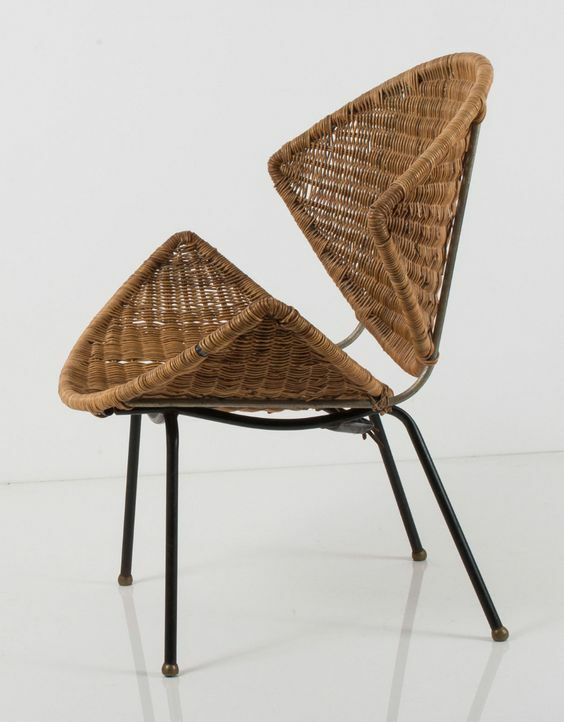 Another unusual design is seen in this rattan chair. With tight rattan pattern, this one looks amazingly cozy. The two legs that start from the front to the back makes this one looks like a floating chair and it will be a nice touch to the room. 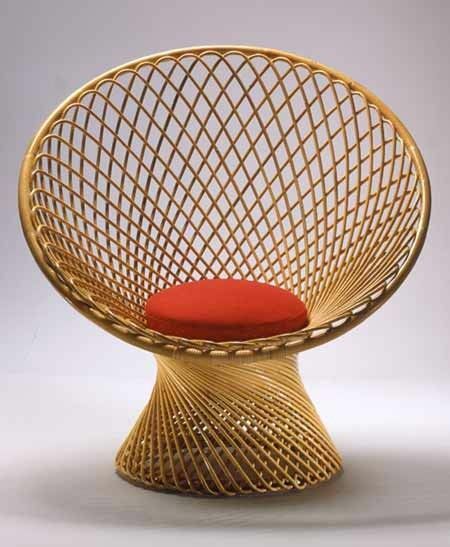 Besides the usual chair, woven rattan is a good thing happen to a lounge chair too. This one here shows how it can radiates a comfortable ambiance to the surrounding. With black lines of metal supporting the lounge chair, it looks modern and natural at the same time. 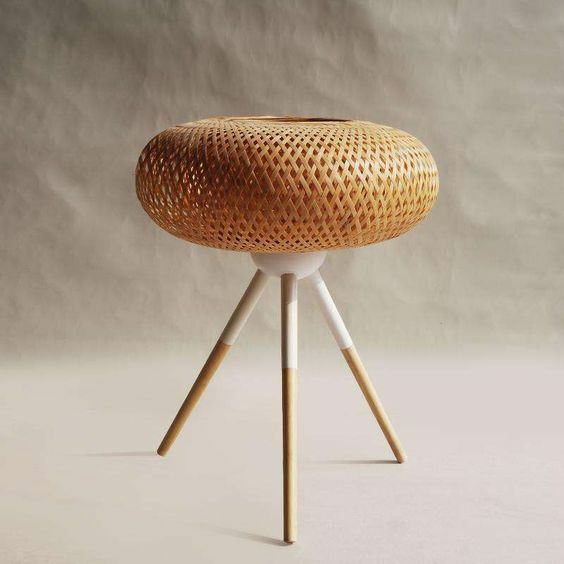 Another great item that can make the room feel naturally refreshing and neutral is this low stool with round woven bamboo seating supported with three sleek wooden legs. A handcrafted item like this one here also brings out more personal feeling for wherever it is placed in.